Why are so many great architects short of stature? I don’t know how tall Maybeck was, but Kahn was 5 feet 6½ inches, according to his passport (which is in the University of Pennsylvania archive), and he was obviously sensitive about his stature, judging from his comment. But he was in good company; many famous architects have been short. 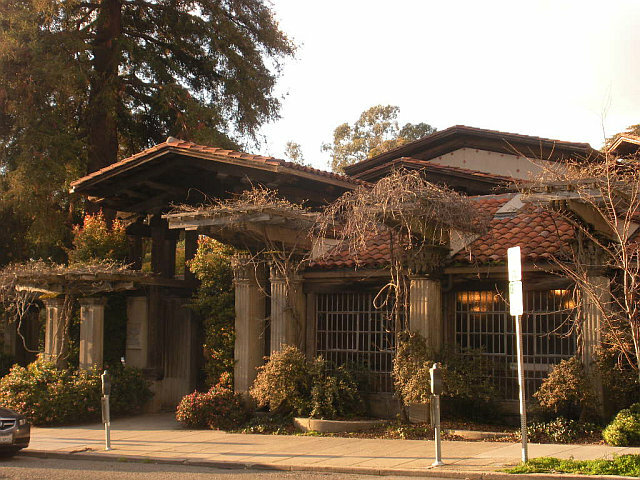 Julia Morgan, another celebrated Bay Area architect, was only 5 feet tall. 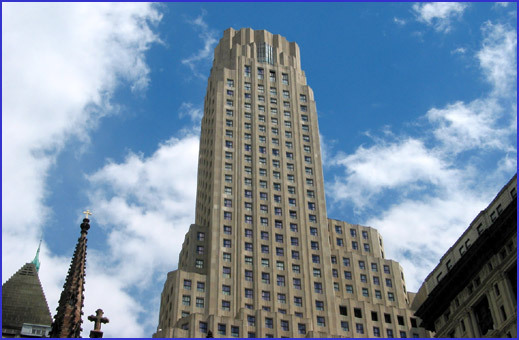 Raymond Hood, Ely Jacques Kahn, and Ralph Walker dominated New York high-rise architecture in the 1920s—Hood designed 30 Rock, Kahn was responsible for the wonderful 2 Park Avenue, and Walker produced the Art Deco tower at 1 Wall Street. They were so short they were popularly known as the “Three Little Napoleons of Architecture.” (Napoleon was 5 feet 6½ inches.) Contemporary architects as different as I.M. Pei, Robert A.M. Stern, and Daniel Libeskind (5 feet 4 inches) are small men, too. Norman Foster and Frank Gehry are giants on the contemporary architectural scene, but they are not particularly imposing in stature; Gehry is always the shortest figure in group photos. Frank Lloyd Wright claimed to be 5 feet 8 inches, although he was not always a reliable witness and his houses are notorious for their extremely low ceilings. Could shortness be a job qualification for an architect, as tallness is for presidents? (Thirty-nine of the past 44 U.S. presidents have been of above-average height—Obama is 6 feet 1 inch.) Studies of wage-earners have shown that, all things being equal, it pays to be tall—about $1,000 in annual salary per extra inch. Researchers have speculated that tallness in adolescence encourages more involvement in sports and extracurricular activities, leading to greater self-esteem and leadership abilities. Most successful architects I’ve met are neither tall nor rich. Self-esteem? Architects have big egos, but they are notoriously insecure. Leadership? Architects tend to be introverts, sketching, imagining, day-dreaming—hardly leadership material. When architects do stray into politics, they appear babes in the woods—one thinks of Le Corbusier, Mies van der Rohe, and Philip Johnson. The British architecture critic Deyan Sudjic writes about Mies and Johnson’s flirtations with the Nazis in The Edifice Complex, a gossipy book about the relationship between power and architecture that features such diverse architectural patrons as Benito Mussolini, Saddam Hussein, and Michael Eisner. Sudjic devotes a chapter to U.S. presidential libraries and recounts the first meeting between (short) architect James Stewart Polshek and (tall) president Bill Clinton to discuss the design of Clinton’s library in Little Rock. “Will you do one of those napkin sketches you architects do?” the president wanted to know. Polshek demurred. Instead, his office prepared drawings and models of three alternatives for the president, who chose the most dramatic, a cantilevered box hovering above the Arkansas River. Sudjic’s book is subtitled “How the rich and powerful shape the world,” referring not to architects but to their clients, yet it’s hard not to see a psychological compulsion at work when short people design tall—or in Polshek’s case, very long—buildings. On the other hand, the tallest architect I know, Boston-based Bill Rawn, who is 6 feet 7 inches, designs decidedly understated buildings, so go figure. Rawn is a prize-winning architect whose firm was recently named the top practice in the country, but his first appearance in print was as a character in Tracy Kidder’s House. The most famous architect in literature is undoubtedly Howard Roark in Ayn Rand’s The Fountainhead, who was played by Gary Cooper in the movie. Coop was 6 feet 3 inches; they should have cast Alan Ladd (5 feet 4 inches) instead.